If you take one trip in your life, plan a holiday in South Africa. Be warned, you will never have enough of it. There is surfing, horse safari, bicycling, white water rafting, quad biking, zip-lining, caving and heading down a gorge. There is something enriching and pulsating about adventure. It’s real, raw, and makes you feel alive. The rush you get when you are in it is unmatched and the sense of accomplishment truly out of this world. One country that is an adventure lover’s paradise is South Africa. It's as if all of this nation is tailor-made for those who crave a pure adrenaline rush. Never mind how preposterous your bucket list is — from cruising in the sky in a hot air balloon to saying hello to crocodiles and hippos in their natural setting to any other hair-raising experiences— there is no other country that let's you do it all. Yes, without doubt, South Africa understands your needs, and welcomes you. There is surfing, horse safari, bicycling, white water rafting, quad biking, zip-lining, caving and heading down a gorge. With adventure and exhilaration around every corner in this part of the world, you can experience not just one or five, but 10 action-packed activities. Buckle up, don a wet suit, wear your running shoes and get ready to explore the outdoors. Presenting South Africa’s Big 10. This is the new list. Don’t leave without a standing applause and certificate drawn out in your name to relive this vibrant experience. Taking to the skies in a hot air balloon lets you enjoy the sunrise at almost eye level, feel the breeze and take in the sights and sounds from a vantage point. This is a flight where you can look out from the basket, and you should, as you are in the best balloon territory. 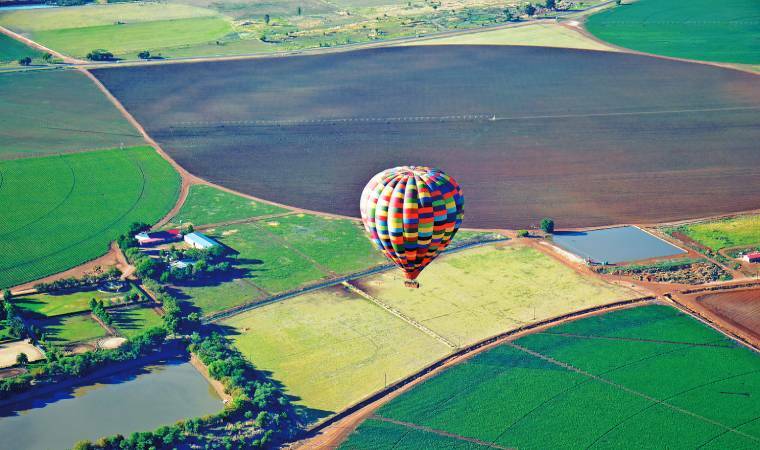 Cruise above the Magaliesberg range, click the multi-hued fields below, float over homes, wave back at the locals who make you feel like a celebrity, and just before landing, pluck a macadamia leaf right off a tree. There is South African bubbly to be popped after the memorable flight. A delicious breakfast awaits you including Northumbrian porridge eaten with cream and whisky. Don’t leave without a standing applause and certificate drawn out in your name to relive this vibrant experience. If watching wild animals from the balloon is more your thing, then opt for the game-viewing safari at the Entabeni Game Reserve. You’ll get to watch live action of the South African bush and its wildlife. The kick, the freedom and the triumph as you ride a left or right wave is unparalleled. Riding on mountainous terrain or off roading is passé. How about riding a wave? That too one (or more) on the gorgeous Addington Beach in Durban. 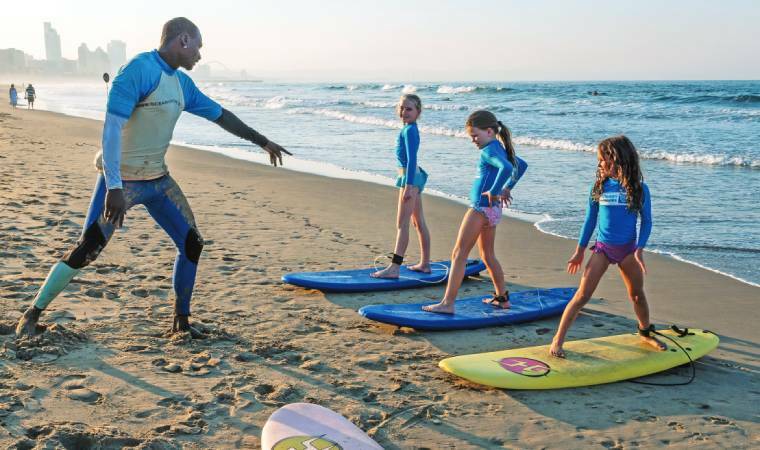 Put on a wet suit, carry your surf board under your arm like a pro, get a crash course in surfing from a trainer who is a specialised surfer and let the Indian Ocean do the rest. The kick, the freedom and the triumph as you ride a left or right wave is unparalleled. Even if you are not a natural, surfing is good fun and a great way to spend a day at the beach getting an outdoor cardio workout. Plus, you have fulfilled your Baywatch fantasy, flaunted some aqua prowess and learnt a new sport in South Africa. A win win situation! 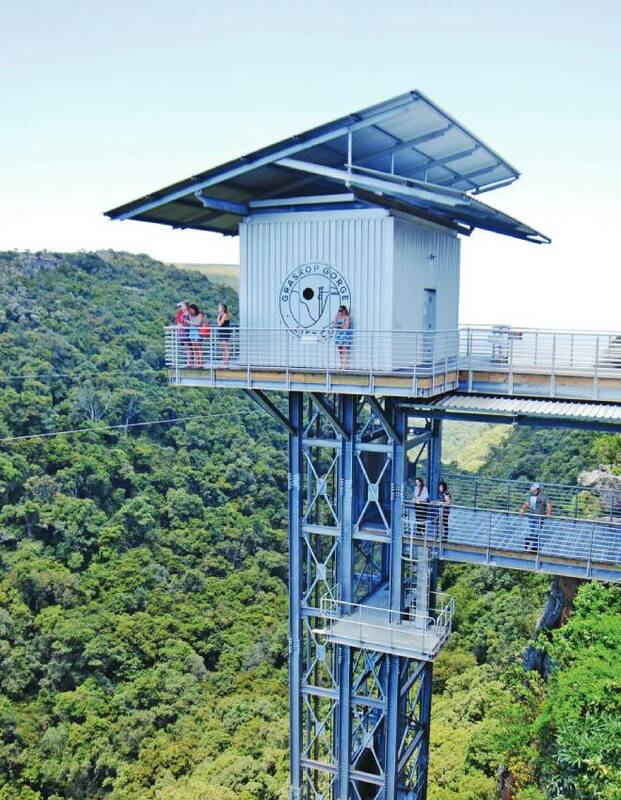 This is the Graskop Gorge Lift Co. experience which takes you down 51m right into the heart of a forest. A glass elevator takes you down a gorge while you soak in the view of the Panorama Gorge waterfall, dense foliage and watch some heart-pumping live action as other adrenaline junkies take a 68m freefall before swinging into the gorge on the other side of the cliff. There is also the zip line where you can scream your lungs out. This is the Graskop Gorge Lift Co. experience which takes you down 51m right into the heart of a forest. A circular trail of boardwalks and suspension bridges let you explore the native evergreen forest and its species. Keep your camera ready for peek-a-boo birds, monkeys, butterflies and flora like trees, shrubs and climbers. Take a breather with lunch in the restaurant offering panoramic views of the gorge. It is located on the edge of the same cliff as the lift. It was the home of two of South Africa's Nobel Peace Prize awardees, Nelson Mandela and Archbishop Desmond Tutu. Pedal hard. Pedal fast. Soweto awaits. This township provides glimpses of raw South Africa as you cycle up and down its roads and grassy slopes. Stop at the Orlando Stadium where you’ll hear success stories of the Orlando Pirates, their home-grown soccer team. High-five kids and men playing football on the streets while riding by some local street art. 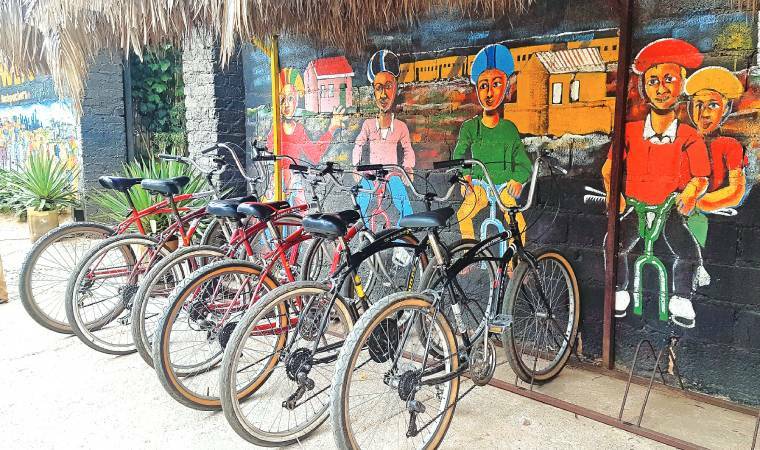 As you switch gears, you’ll get to Vilakazi Street which has a cultural legacy: It was the home of two of South Africa's Nobel Peace Prize awardees, Nelson Mandela and Archbishop Desmond Tutu. Park your bicycle and shake a leg with one of the street performers doing their gig outside Mandela House. South African music is upbeat and peppy. All the cycling and dancing ought to get your stomach growling. Relish a multi-cuisine meal at one of the quaint restaurants while guzzling down local beer. There is a happy, friendly, fit and healthy horse just for you at Horseback Africa. South Africa is known for its game drives. But instead of experiencing it in a 4X4, how about riding into the bush on horseback? It’s more personal, exclusive, adrenaline-inducing and adventurous. Leonardo DiCaprio has done it. So has Paris Hilton and the royal families from Saudi Arabia and Malaysia. Now it’s your turn. Ride a thoroughbred, Arabian, Anglo-Arabian: A crossbred, Appaloosa, it is the breed loved by cowboys and also very popular in the States. Never mind if you've never ridden a horse or are a champion horse-rider. 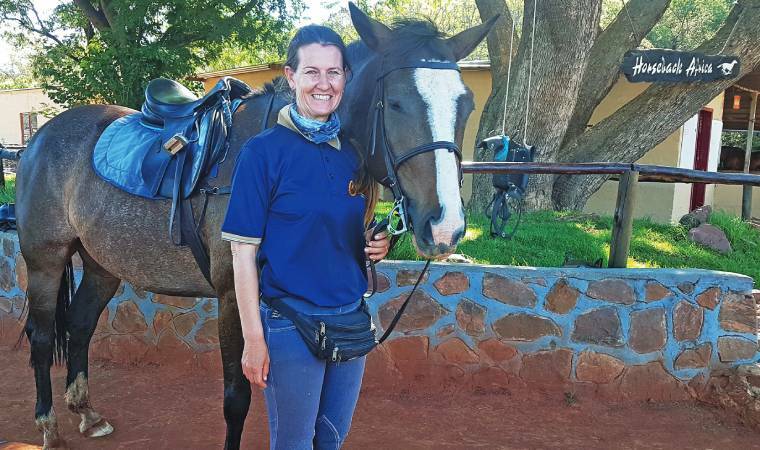 There is a happy, friendly, fit and healthy horse just for you at Horseback Africa. 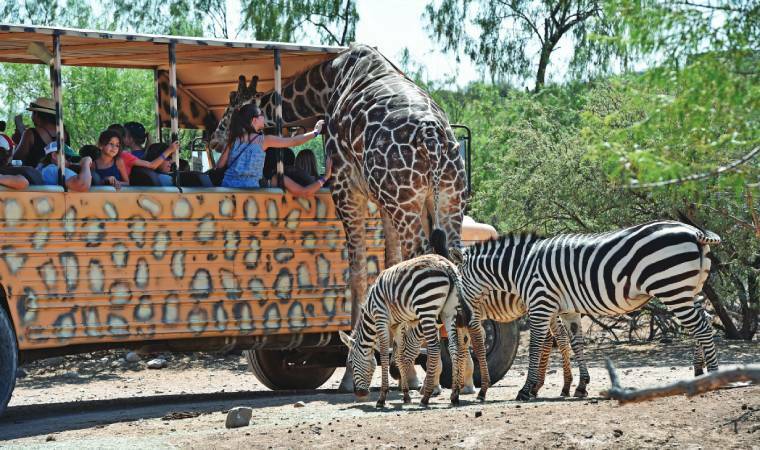 After learning how to ride and treat your horse, the private game park is your playground with zebras, giraffes, kudus, impalas and wildebeests waiting to say hello. There are 10 platforms at varying intervals where you stop to admire the tranquillity of your surroundings. It’s high. It gives you a high. 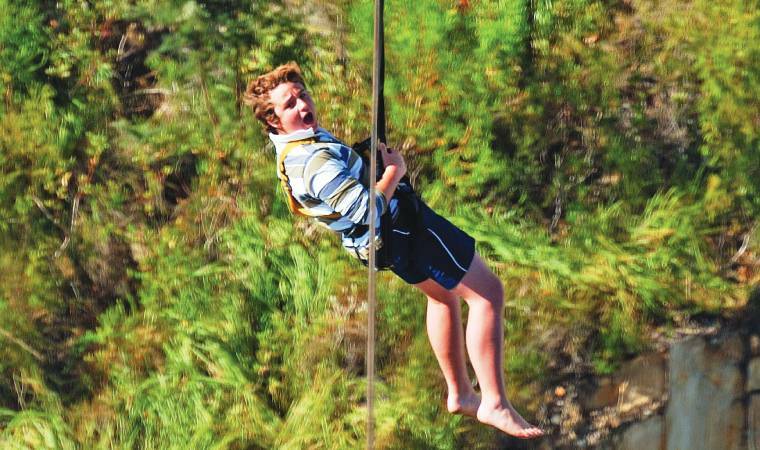 And pumps up the adrenaline as you zip and zoom down a natural valley near the Sabie River. Zip-Lining lets you be a modern-day Tarzan while upping your adventure quotient. The 1.2 km-long aerial cable is the longest in Mpumalanga and instead of zipping in one go and ending the adrenaline rush in a few seconds as is common in zip lining, this one lets you savour the experience stop-by-stop. There are 10 platforms at varying intervals where you stop to admire the tranquillity of your surroundings. Once you have had your fill, you are harnessed again to zip down. Take a look below to catch lush vegetation, gurgling streams and rocky landscape. Don’t forget to outstretch your arms, thump your chest and let out a Tarzan cry. Where: Sabie River Valley near Hazyview. You could also marvel at the avifauna of St Lucia. Hippopotamuses, 1,200 Nile crocodiles and a cruise to spot them in a UNESCO World heritage Site. This is what the hippo and croc cruise is about. 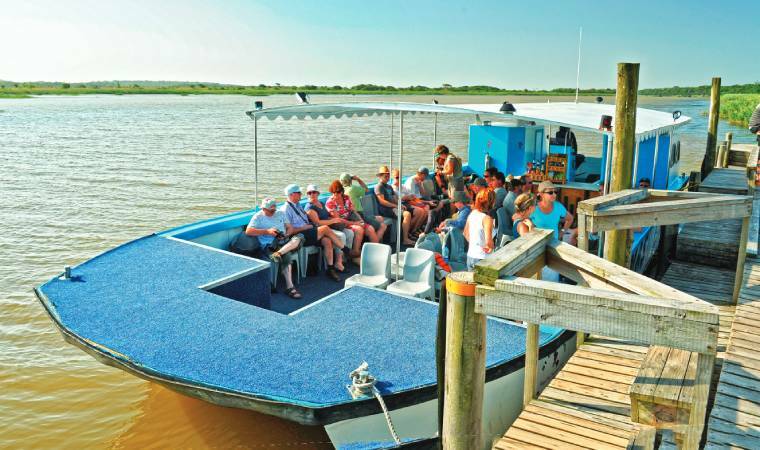 You board the cruise from Siyabonga Jetty and ride on the St Lucia estuary while sipping brandy, scotch whiskey, gin or beer and nibbling on delicious finger food to get up close and personal with Nile crocodiles sun tanning themselves in plain sight. You could also marvel at the avifauna of St Lucia. On a good day, you could spot the St Lucia Black Finch, the endangered white breasted thrasher and St Lucia Warbler among many other endemic birds. A brightly coloured yellow raft that can accommodate two people, your paddling skills and the rush that comes with overcoming a rapid is what makes white water rafting on the picturesque Sabie River totally worth your time and energy. The river has 20 rapids with interesting names like Dog’s Leg, Devil’s Knuckle and Pearly Gate, among many others. having fun on the Sabie River. The river has 20 rapids with interesting names like Dog’s Leg, Devil’s Knuckle and Pearly Gate, among many others. Sterfkontein Caves are not just any caves. They are part of the Cradle of Humankind which is a UNESCO World Heritage site. 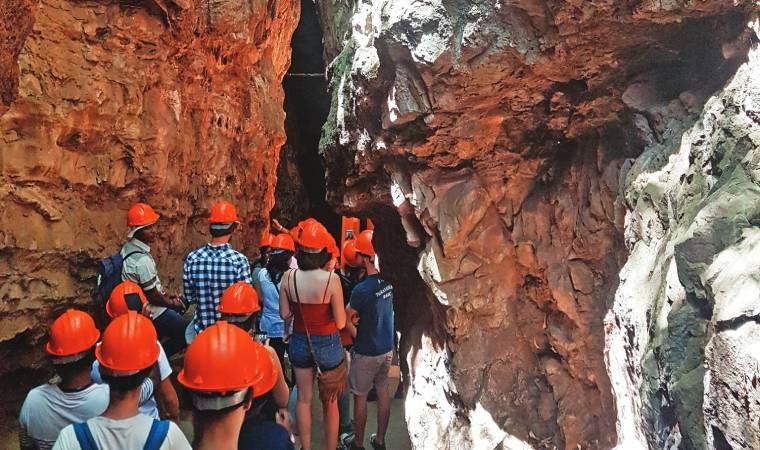 Explore these caves to know about human evolution and fossils of early human ancestors including Mrs Ples, an almost complete skull dating back 2.15 million years, and Little Foot, a 3.67 million-years-old skeleton. It took 15 years to excavate. There is also an underground lake, and a sinkhole to add to the spooky feeling. The limestone in the protected chambers here turn translucent when you flash a torchlight on it. As you exit, you can rub the nose of Dr Robert Broom’s bust for luck or his left hand for wisdom. Remember you can choose only one attribute of this famous doctor who discovered Mrs Ples. The track for experienced riders is a mix of sharp turns with steep uphills and nerve-thrilling down hills. 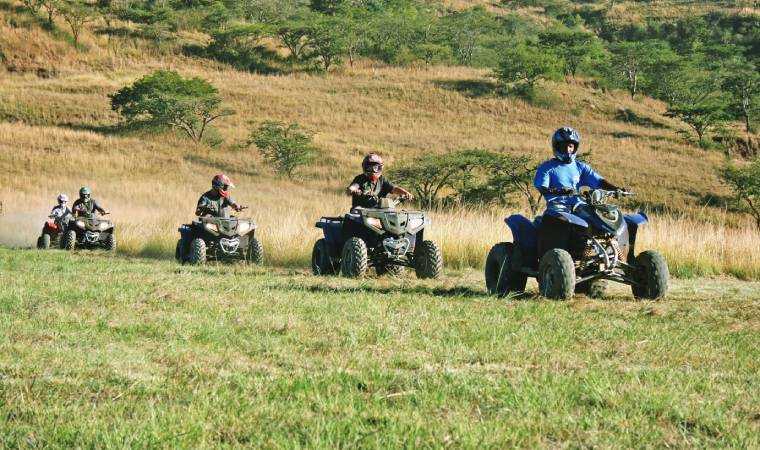 Feel like the king of Sabie when you manoeuvre the quad bike over mud roads while testing your biking skills in the wilderness. While the beginners’ route is relatively flat, the intermediate path has bumpy tracks that lead to off-roads strewn with shells of macadamia nuts to make the experience more challenging and vroom worthy. The track for experienced riders is a mix of sharp turns with steep uphills and nerve-thrilling down hills. Buckle up your helmet, breathe in the fresh air, bike through a forest and brake at a picture-perfect stop of a lake where African bull frogs croak harmoniously with the chirping of birds. As you ride through macadamia plantations, you can also make a quick stop to crack open the brown macadamia shells and savour the delicious nuts. That’s giving a new twist to adventure.